VATICAN CITY (CNS) — Pope Francis expressed his condolences for the death of the 41st president of the United States, George H.W. Bush. Cardinal Pietro Parolin, Vatican secretary of state, sent a telegram to the president of the U.S. Conference of Catholic Bishops, Cardinal Daniel N. DiNardo of Galveston-Houston, telling him the pope was “saddened to learn of the death” of the former president. “Pope Francis offers heartfelt condolences and the assurance of his prayers to all the Bush family,” he said in the telegram published by the Vatican Dec. 5. 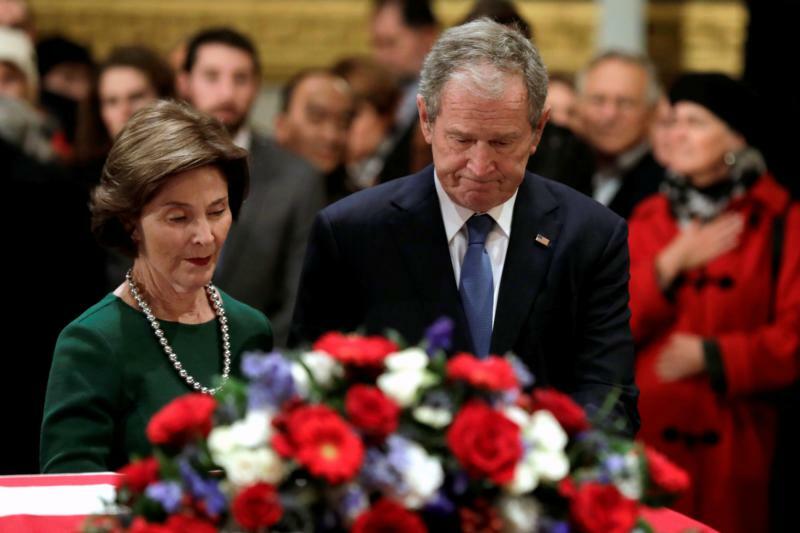 “Commending President Bush’s soul to the merciful love of almighty God, His Holiness invokes upon all who mourn his passing the divine blessings of strength and peace,” Cardinal Parolin wrote.